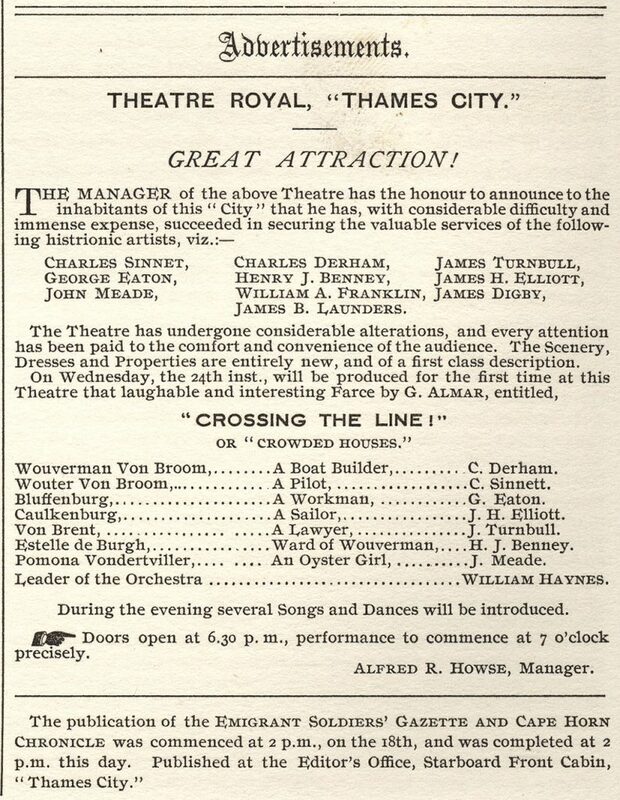 The passengers on the Thames City found ways to combat the boredom expected of a six-month long journey at sea. 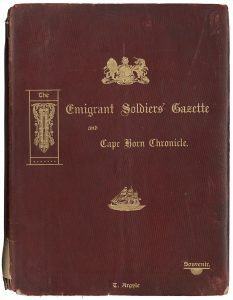 The Emigrant Soldiers’ Gazette and Cape Horn Chronicle was a handwritten publication made on the Thames City. The content was supplied by passengers and it was edited by Second-Corporal Sinnett and Lieutenant Palmer. 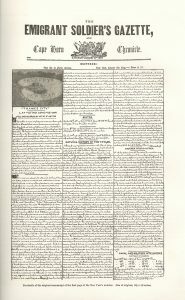 Passengers gathered every Saturday night to hear the Commanding Officer, Captain Luard, read the newest issue aloud which was sometimes followed by entertainment and dancing. Of all the little amusements that have assisted very materially to render our dreary voyage as pleasant as anything of the kind can well be. . . the theatre stands forth preeminent . . . a short time ago, every one [sic] was in such a humour that he would hardly be pleased at anything, hot and lazy, and tired of everything and everybody, the manager and his company struggled manfully against all obstacles, and have produced on the last few occasions performances that have done credit to every one [sic] connected with them.